"The efficiency of our service reps was a complete 180. They are now always equipped with the right paper work for the job." Wanted to eliminate the amount of paper each field tech had to carry every day. Also, sought to equip their field representatives with the right forms for each job - since there were so many forms that varied per job type, some representatives often would not have the right paperwork for a job.. Uses GoFormz to digitize forms in order for the back office to manage which forms are sent to representatives and techs depending on the job. Duraclean was started in 1930 by Irl Marshall Sr. Mr. Marshall developed a safe and very effective cleaning solution for rugs and upholstery which became the foundation of the company. 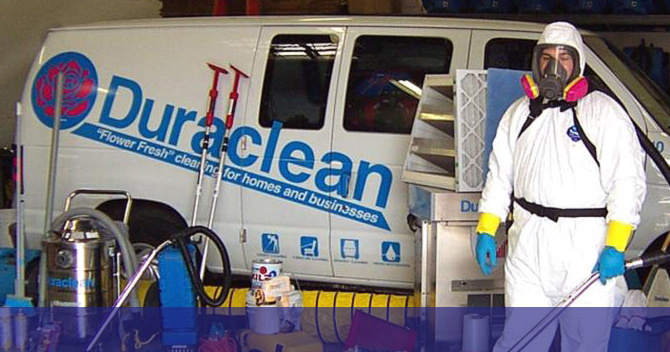 Duraclean services have continued to expand over the decades from its humble beginning of loose rugs and upholstery cleaning to now being able to clean any surface in a home or office. Danielle Canup, Vice President of Franchise Services at Duraclean, heard about GoFormz through one of her service representatives. She had been searching for a way to go paperless but didn’t know where to start. When she was told about GoFormz Mobile Forms from one of her vendors, Furniture Medic, Danielle immediately looked into it and realized it was exactly what she needed. Upon using GoFormz to digitize forms and eventually switching over all her departments’ forms, she immediately saw a difference in her operations. This not only helped with their customer facing services but also helped reduce errors in the forms. More accurate data helped to greatly reduce the time required for the administrative team to process forms. Most importantly, the efficiency of receiving the forms upon completion increased. It was very important for the administrative team to receive the forms immediately after a customer visit because they had to process and send the information to insurance companies. Duraclean is contracted with some of the Nation’s top Insurance companies, who expect them to submit client information within hours of visiting a site.